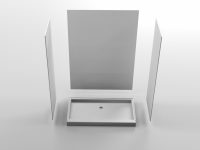 Solutions designed to create low maintenance, durable and hygienic restrooms. 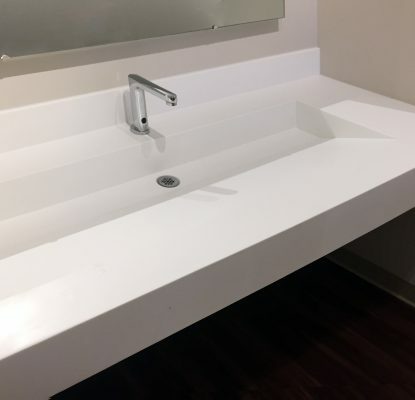 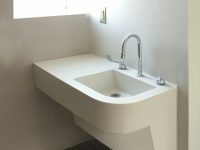 Our moisture-resistant construction, combines with seamless, non-porous Corian® surfaces that resist mold growth and will not discolor with chlorine or bleach. 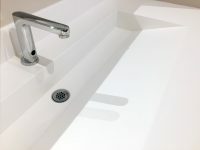 Added design features make cleaning and disinfecting quick and efficient.